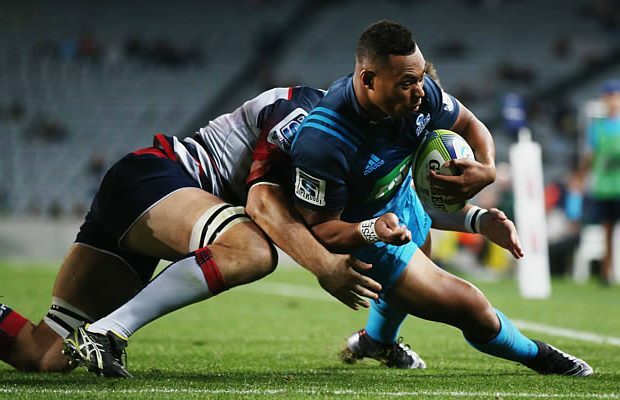 Auckland’s Blues earned their fourth victory of the 2016 Super Rugby season by beating the Rebels 36-30 at Eden Park. The Blues are the last placed New Zealand team while the Rebels are the leading Australian team. 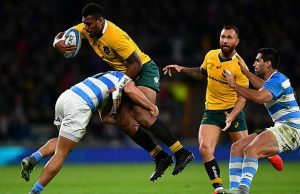 The Blues were leading 36-18 going into the final quarter before the Rebels scored two quick tries which earned them a losing bonus point and also took the Blues try bonus point away from them. The Blues have now played eight matches and won four which is one more than they won in 2015. They Blues also have one draw to their name this season. The Rebels have played nine matches, won five and lost four. The Blues and Rebels have now played each other five teams and in each match the home team has won. 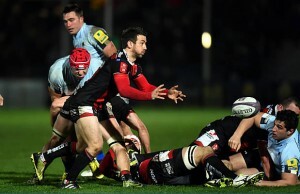 James Parsons celebrated his elevation to Blues captain by scoring one of the Blues tries. “My heart’s still racing. Obviously we didn’t close it out as we would have liked,” a relieved Parsons said when interviewed five minutes after the final whistle. “We will take confidence from this. We didn’t finish well but there were some good things and we’re excited for the trip to Africa,” he added as the Blues head to the republic to play the Southern Kings and Golden Lions. It was the fourth win from eight games for the Blues, who remain bottom of the New Zealand conference, while the Rebels started the game as the top Australian side and now have five wins from nine outings. Parsons had mixed fortunes to start his reign as Blues captain after Jerome Kaino relinquished the leadership during the week. He gifted the Rebels their opening eight points, first with a wobbly pass that Reece Hodge snapped up for a try and then giving away a penalty that was neatly slotted by Jack Debreczeni. Parsons atoned for his sins by crashing over from close range for the Blues’ first try which woke his side up from their slumbering start. Kaino, Charlie Faumuina and Ihaia West all scored as the Blues piled on 24 points in a 16-minute burst in which the Rebels managed only one more Debreczeni penalty. West’s try stunned the Rebels straight from the restart after the second Debreczeni three pointer. Blues back-rower Steven Luatua recovered the kick-off, fed Patrick Tuipulotu who carried the ball up to the line for West to finish off the move. The Rebels struck back with a crucial Jordy Reid try from a line-out drive on the stroke of half-time, reducing the gap to 24-18 at the turn only for the Blues to resume their scoring spree from the restart. Tevita Li and Lolagi Visinia crossed in quick succession to lift the Blues to 36-18 with nearly half an hour remaining. But they could not hold their dominance, allowing the Rebels to surge back in the closing 15 minutes with tries from Colby Fainga’a and Sefanaia Naivalu ensuring the visitors at least finished with a bonus point. Next week the Blues travel to South Africa where they will play the Southern Kings in Port Elizabeth while the Rebels have a bye. Lolagi Visinia, Rieko Ioane, George Moala, Piers Francis, Tevita Li, Ihaia West, Bryn Hall; Steven Luatua, Tanerau Latimer, Jerome Kaino, Josh Bekhuis, Patrick Tuipulotu, Charlie Faumuina, James Parsons (v), Sam Prattley. Replacements: Quentin MacDonald, Nic Mayhew , Ofa Tu’ungafasi, Akira Ioane, Kara Pryor, Billy Guyton, Matt McGahan, Melani Nanai or Matt Duffie.